Donald Trump Press Secretary Sean Spicer Calls Media Coverage 'Demoralizing' White House press secretary Sean Spicer, in his first full press briefing, pledges never to lie, although, he says, "Sometimes we can disagree with the facts." He called media coverage "demoralizing." White House press secretary Sean Spicer tells reporters "our intention is never to lie to you." Like Rodney Dangerfield, the Trump administration apparently feels it gets no respect. 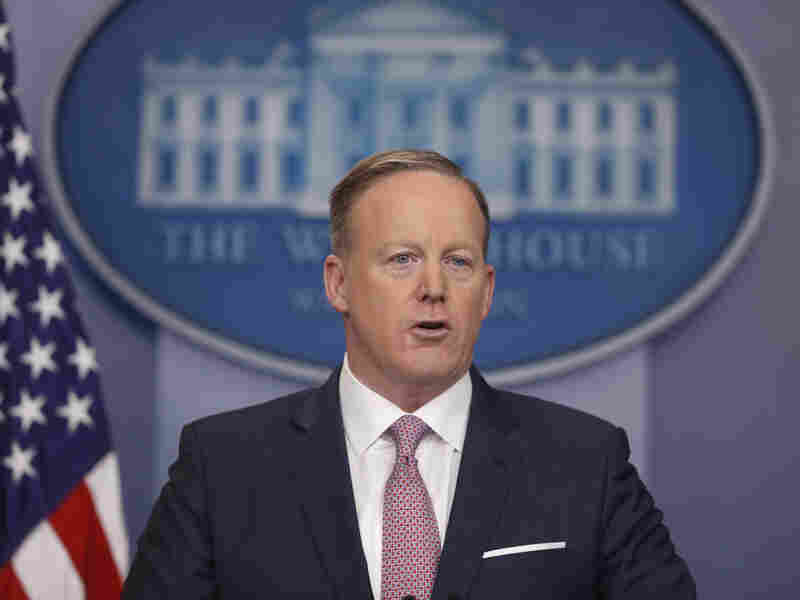 White House press secretary Sean Spicer on Monday launched into a lengthy defense of statements made by him and President Trump, and of criticisms of the president. "The default narrative is always negative," Spicer said Monday during his first briefing in which he took questions. "And that's demoralizing." Spicer lamented what he called a "constant theme to undercut the tremendous support" that Trump has, adding, "I think its just unbelievably frustrating when you're continually told it's not big enough; it's not good enough; you can't win." Spicer attempted to clarify a statement he read on Saturday, in which he said the inauguration of Trump the day before was seen by "the largest audience to ever witness an inauguration — period — both in person and around the globe." The default narrative is always negative, and that's demoralizing. Several news organizations published photos that clearly showed far fewer people present on the National Mall than were there during President Obama's first inauguration in 2009 or for the Women's March in Washington, D.C., on Saturday. Spicer cited Nielsen ratings that put the U.S. TV audience Friday at some 31 million, and added to that CNN's streaming audience, which the network says was more than 16 million. "If you add up the network streaming numbers, YouTube, all of the various live streaming that we have information on so far," Spicer said, "I don't think there was any question that it was the largest-watched inauguration ever." Some of those figures are difficult to quantify. It's not known, for instance, how many people streamed the inauguration through a variety of sources on many different platforms. The record for biggest TV audience goes to Ronald Reagan, back in 1981, for which some 41 million viewers tuned in. And in 2009, President Obama had a TV audience of some 39 million, and 21 million streamed the proceedings on CNN, a larger total than Trump's. But the bigger picture, for Spicer, is the narrative that he calls frustrating not just for Trump but "for so many of us that are trying to work to get this message out." He cited doubts expressed about Trumps's pre-election campaign strategy, and questions about the qualifications of his Cabinet appointments since winning election. Spicer rejected the notion that such punditry and second-guessing were just the norm for Washington. Spicer was critical of a tweet on Friday evening in which a pool reporter wrongly said that a bust of Martin Luther King Jr. placed in the Oval Office by Obama had been removed. The pool reporter quickly corrected the tweet and reported that the bust was in fact still there. The reporter also apologized "to my colleagues" for the error. At the time, Spicer tweeted, "Apology accepted." But on Monday, Spicer wondered why the reporter stopped there: "Where was the apology to the president of the United States? Where was the apology to millions of people who read that and thought how racially insensitive that was?" Still, Spicer seemed to try to reset his relationship with the press after Saturday's rocky start. He affably took questions for over an hour, and pledged, "We have to be honest with the American people." He added, "I think sometimes we can disagree with the facts," he said, "but our intention is never to lie to you."